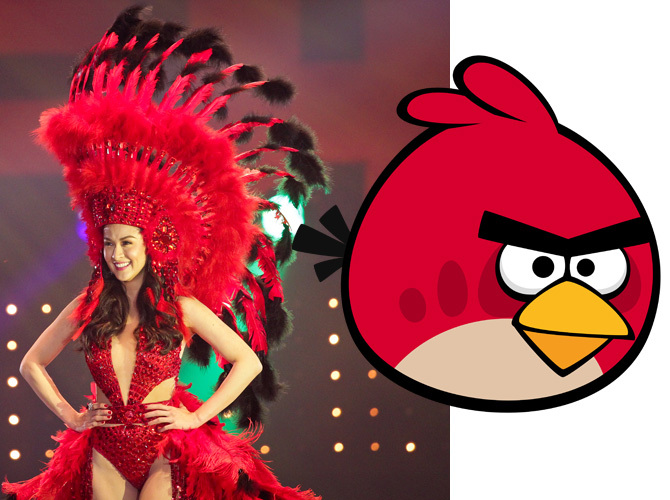 Angry Bird Red never looked this hawt. In case you missed it: Last night was the #FHM100Sexiest Women Victory Party! Celebrities like Marian Rivera, Roxee B, Aubrey Miles, Bangs Garcia, and Alice Dixson walked the World Trade Center in their skimpiest, most revealing...err, clothes? 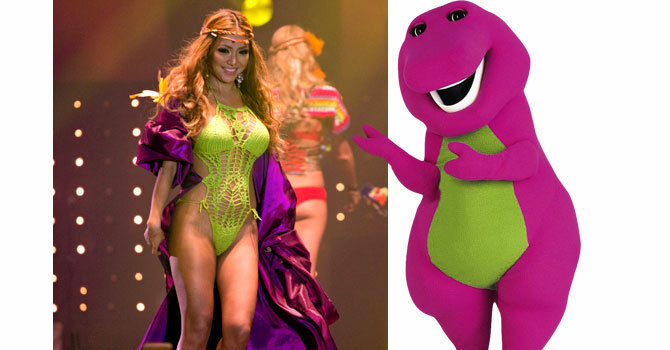 This girl is waaay hotter than Barney, though. 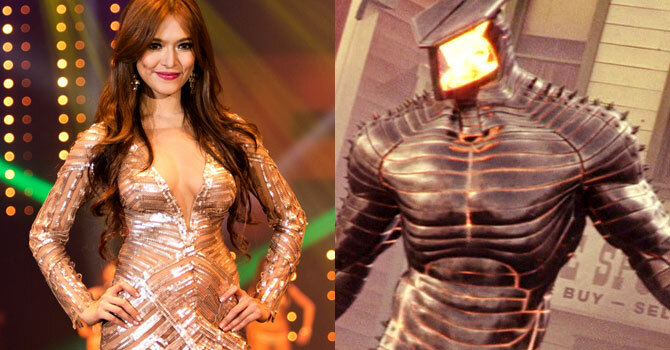 We feel that Bangs Garcia's metallic dress was inspired by The Destroyer's armor—and that is just cool. On so many levels. The second time Bangs came out, she was wearing a beautiful two-piece that looked a lot like a golden rooster! Admit it, Alice Dixson's lilac dress made you think of the BEST PONY EVER: Twilight Sparkle. Who wore it better: Ryza Cenon or Slave Leia? Aubrey Miles totally succeeded in pulling off a Miley Cyrus. ALL HAIL! Queen Marian Rivera's elaborate one-piece costume reminded us of the best game to ever hit our mobile phones! Proof of Marian's beauty: She can wear [whatever you call this outfit] and still look gorgeous.